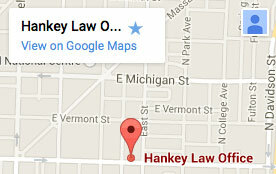 Hankey Law Office > Articles > What is Social Security Disability? For many people long term disability insurance is not a financial possibility. This is a serious issue as many of the most dangerous occupations that are most likely to end in long term disability are the ones that pay the least. Thus many of the Americans that need long term disability insurance the most are the exact ones that will never be able to have it. But the government responded to this dilemma with Social Security Disability. Social Security Disability insurance or SSDI is a payroll tax-funded insurance program provided by the United States government. This government supplied insurance is managed by the Social Security Administration and get its name from this government entity. The disabling condition must be expected to last at the very least 12 months or result in death. Be under the retirement age of 65. Have worked 5 out of the last 10 years. It is often times very difficult to qualify for Social Security Disability. The process is long and arduous, so it is very important that anyone wishing to receive benefits keeps all relevant records related to their condition.